A big fluffy dog named Jack is an older dog who has plenty of life experience. That experience really means that he is not one to let a challenge escape him, especially when that challenge is covered in fur. 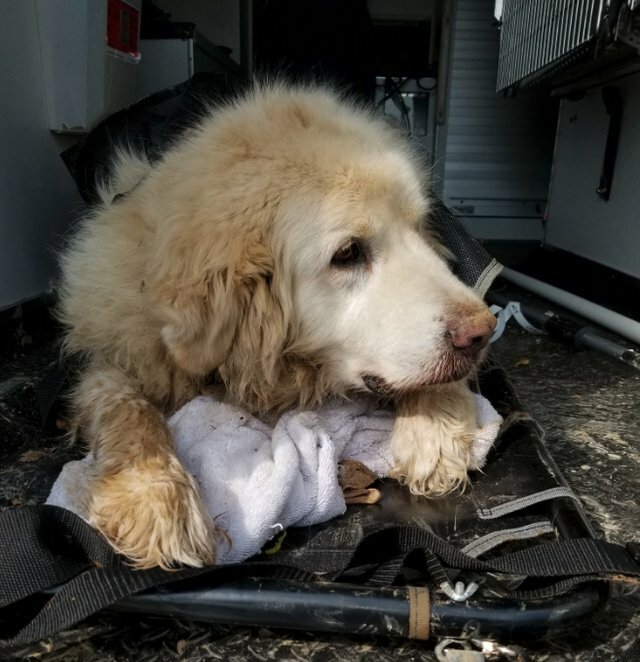 Jack, who is a ten year old Great Pyrenees, was outside his family’s home in Tennessee when he found an intruder in the yard: a squirrel. The squirrel was likely strutting around the yard and taunting poor Jack, who was not having any of it. So, Jack took off after the squirrel across the yard. 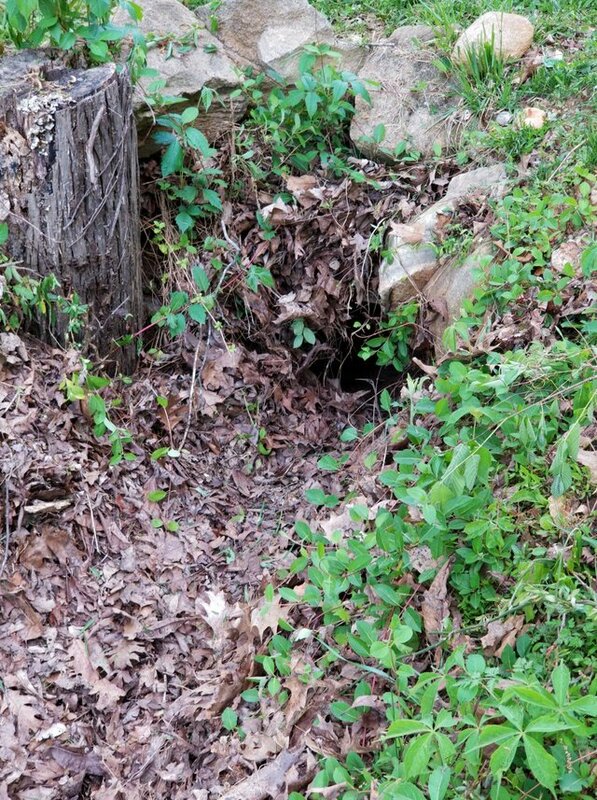 However, the squirrel went into a culvert pipe that went under the home’s driveway. Jack followed, but things did not end so well for the pup. Jack headed into the pipe after the squirrel and it seems getting into the pipe was not a problem for the big dog. Getting out of the pipe, however, was quite another story. 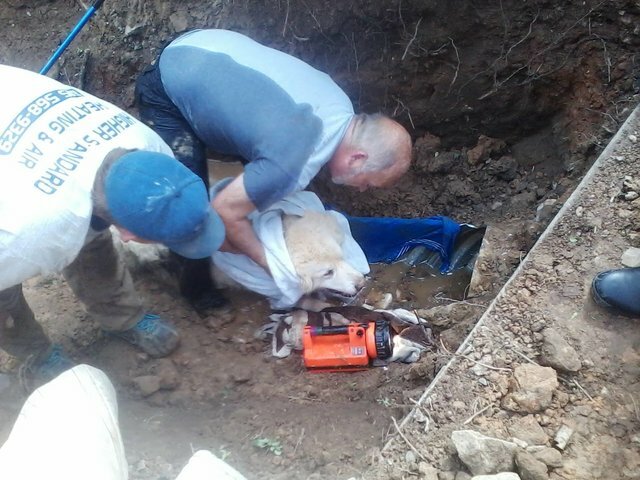 The dog was stuck in the pipe and neither Jack nor his family could get him out. 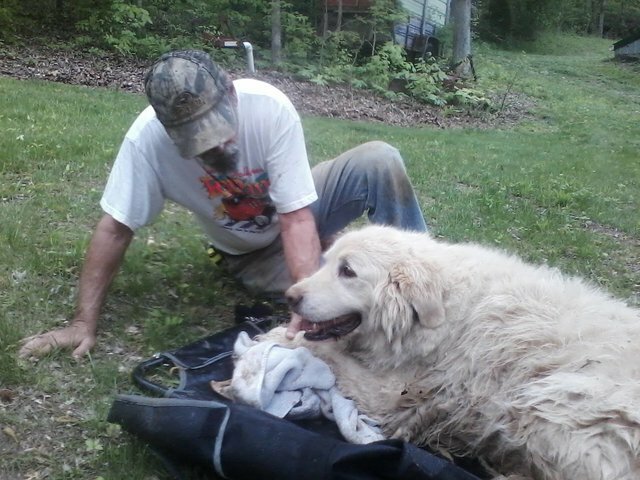 So, the family called animal control and the Pleasant View Volunteer Fire Department for assistance. 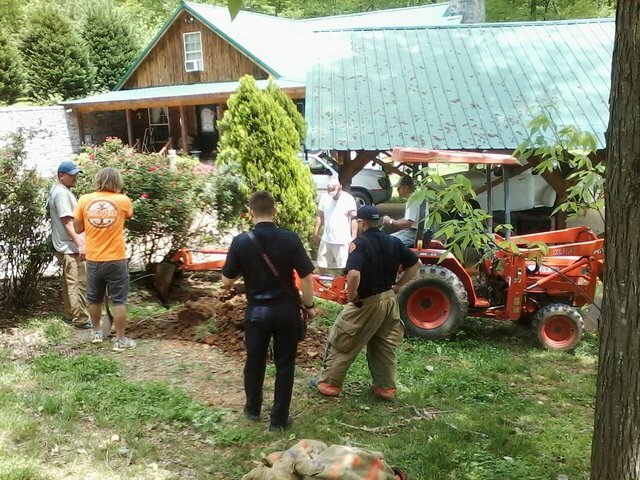 That’s when workers realized Jack had gone fairly deep into the pipe and he was actually underneath the driveway. 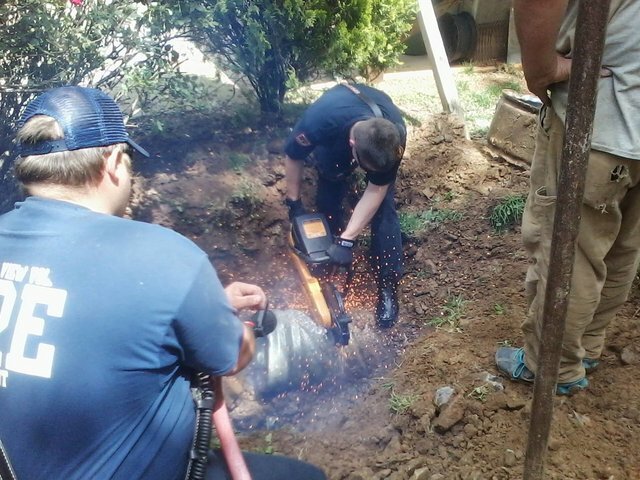 So, they had to dig out part of the pipe and cut it off to get access to Jack. 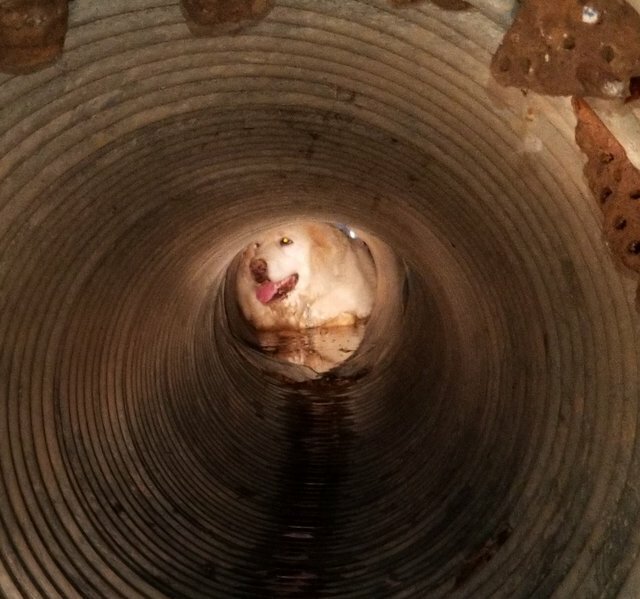 It was all worth it though, as they were able to rescue Jack from the pipe. 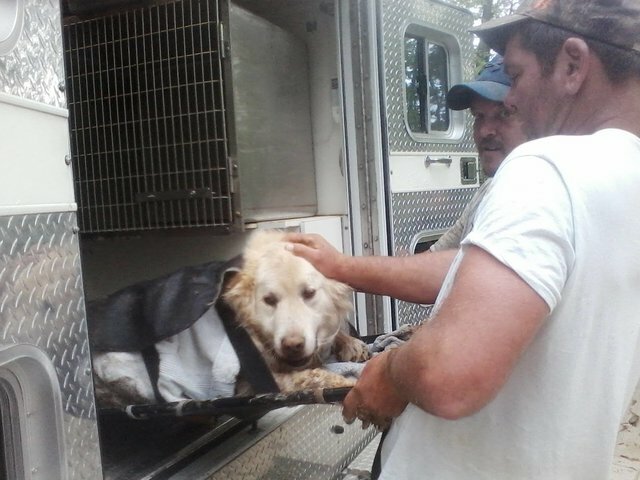 He didn’t seem to be in terrible shape, but they took him to the veterinarian just in case. He received a clean bill of health from the doctor. 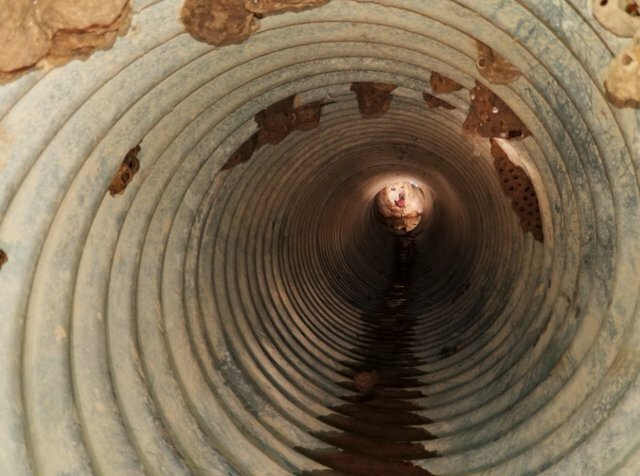 More than anything, his family was relieved that Jack was okay and was not injured during his wild squirrel chase into the drainage pipe. Hopefully he stays away from those pesky squirrels from this point forward!